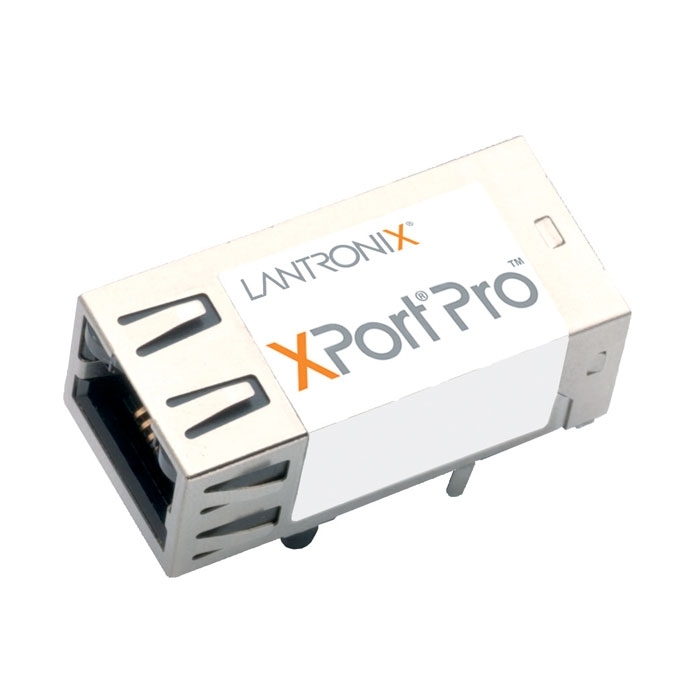 The XPort® Pro is Lantronix’ most powerful, self-contained embedded networking module. Footprint compatible with the popular XPort and running either Linux or Evolution OS® operating systems, the XPort Pro eliminates the complexity of designing network connectivity into a product and allows you to deploy advanced applications on the edge device itself. The thumb-sized XPort Pro provides everything you need in a single embedded solution. It effortlessly handles demanding applications with the power of a high-speed, advanced architecture 32-bit processor. And with ample built-in memory, it allows virtually unlimited flexibility for customization and application enablement. XPort Pro provides bullet-proof security by offering a variety of robust data encryption and authentication options. What’s more, the option to run Linux, with IPv6 built in, enables you to deploy custom applications and take advantage of the large feature libraries available for Linux developers. XPort Pro also includes Lantronix’ patent pending VIP (virtual IP) Access™ technology, which allows for seamless integration with the AccessMyDevice™ remote services enablement platform. Critical agency certification has already been completed by Lantronix, reducing your test time and speeding time-to-market. XPort Universal Demo Board (evaluation kit). Modules need to be ordered separately.